Littlewood Farm crew and worthy volunteers worked overtime last weekend ahead of the coming frosty nights to pull all the squash out of the fields. We ended up with six bins, lower than hoped for but really not too bad at all. 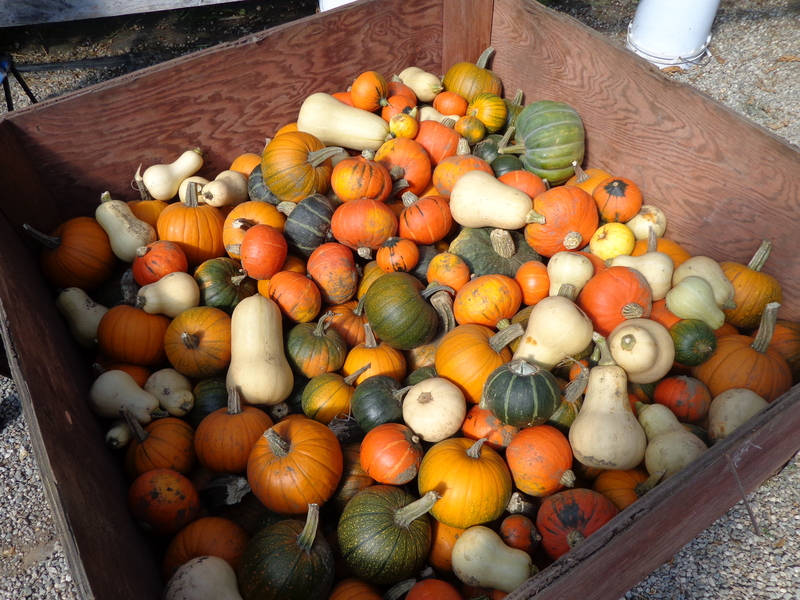 My favorite is certainly the buttercup, which is the green pumpkin-y looking squash. They are extremely rich and flavorful, with dark orange flesh. I’m waiting eagerly for them while they cure for a few weeks in the greenhouse. Pulling these squash and the root crops–carrots, potatoes, rutabagas, and daikon radish, are the main projects right now.